My older daughter is feeling under the weather. She's down with cough and slight bronchilitis. I have started her with her ventolin yesterday. Today, I brought her to see the doctor and doctor had advised that we continue with the ventolin for 3 more days and he passed me some medicine for her cough and running nose. And today my mum cooked for us Chicken in Coconut Sauce and Kai Lan in Oyster Sauce. 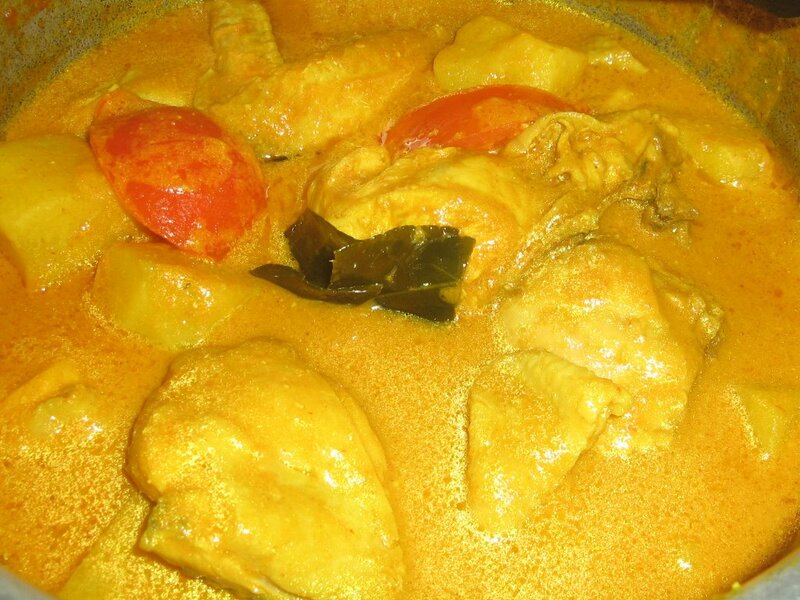 Here is the recipe for My Mum's Chicken in Coconut Sauce (Ayam masak Lemak). In a blender, grind coriander seeds, onion, garlic, turmeric, cumin, candlenut and chillies with a lil bit of water. 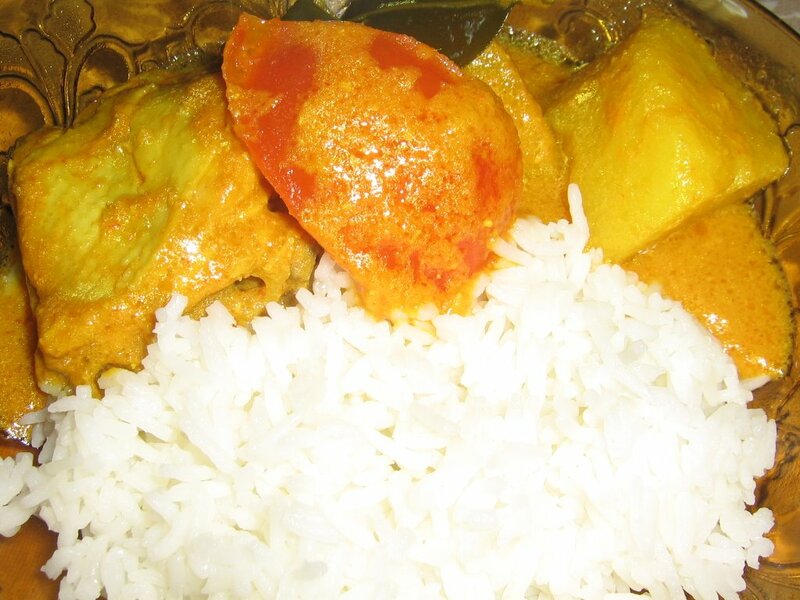 Heat some oil in a pot and fry the ground ingredients till fragrant and crisp. 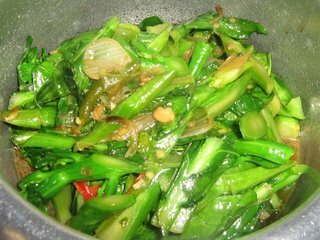 Press the end of lemongrass with a pestle and tear some lime leaves and put them in the pot. Add some salt then add about a cup of water and leave it to boil. Then add in the coconut milk and leave it boil again. When the sauce starts to boil, add chicken and then potatoes. Leave it to simmer till the chicken and potatoes are cooked through. Lastly add the tomatoes and turn off heat. This is how my mum cooked the Kai Lan in Oyster Sauce. Once hot, add onion, garlic and chilli and fry till fragrant. Add in the kai lan stems. Then add a pinch of salt, chix granules and oyster sauce. Lastly add the kai lan leaves and turn off heat. This is my late lunch - hot rice with my mum's chicken cooked in coconut sauce. Hmm nice....hey nice meeting you too. I was really glad that you tegur me. Hope we can meet again in future ya!